Been holding your breath? Go ahead, exhale, Gov. Jerry Brown has signed those medical marijuana bills. The trio, introduced by State Sen. Mike McGuire and assemblymen Jim Wood and Rob Bonta — and then tinkered with by staff from the offices of many other lawmakers and Brown himself — introduce wide-ranging regulations to the state's multi-billion medical marijuana industry. Those laws include limits on cultivation, dispensaries, transportation, who can operate businesses and many other aspects of the industry that's operated unregulated for 19 years since the passage of Proposition 215. You can read the laws here, here and here. And stay tuned for more in depth coverage from the Journal on how the they will effect Humboldt County residents inside and outside the cannabis industry. A flurry of press releases followed the Governor's signing. Read them below. With a historic and significant stroke of a pen, California Governor Jerry Brown signed into law the most comprehensive medical marijuana regulation legislation ever seen in the state of California. North Coast Senator Mike McGuire worked to find common ground and build a strong coalition of support behind SB 643 – The Medical Marijuana Regulation and Safety Act, signed into law today. SB 643 was part of a three-bill package that moved forward through the legislature together. Paired with AB 266 and AB 243, the three bills will change the face of a multi-billion dollar industry that has gone largely unregulated for almost 20 years. The new laws cover every aspect of the commercial medical marijuana industry which would be regulated and subject to licensure – both by the state and local authorities. The bills create a Bureau of Medical Marijuana Regulation under the Department of Consumer Affairs led by a Director who will be confirmed by the Senate. Cities and counties will be eligible for grants from the Marijuana Production and Environmental Mitigation Fund. These monies can be used for local law enforcement activities and environmental cleanup. Key to SB 643 are provisions that will track and trace all marijuana products, and a provision that will once and for all make medical marijuana officially an agricultural product in California. Cultivators will have to abide by the same rules and regulations as all other agriculture, including water use, water discharge, pesticide and insecticide use and more. SB 643 also includes robust provisions governing indoor and outdoor cultivation standards for small, medium and large growers to ensure that best practices related to land conversion, grading and electricity usage are instituted. The bill makes sure that the environment is cared for and that the products are safe, while also mandating strict standards for transportation to ensure that no marijuana is diverted out of state for illegal use. Today, Governor Jerry Brown signed AB 243, authored by Assemblymember Jim Wood (D-Healdsburg), along with AB 266 and SB 643. The three bills, or the Medical Marijuana Regulation and Safety Act, will give California some of the most comprehensive Medical Marijuana regulations in the nation. AB 243 designates marijuana as an agricultural product and creates a regulatory framework for the cultivation of medical cannabis in California. Among other things, the framework would require the same environmental standards for cannabis as other agriculture products, require that all cannabis be tagged with a unique identifier, establish the Watershed Enforcement Team (a marijuana joint task force between the State Water Board and the Department of Fish and Wildlife) as a statewide program creating environmental protections for our natural resources across the state. This multi-agency task force will help medical marijuana growers come into compliance with new laws and crack-down on bad actors, ensuring our forests and watersheds are protected. 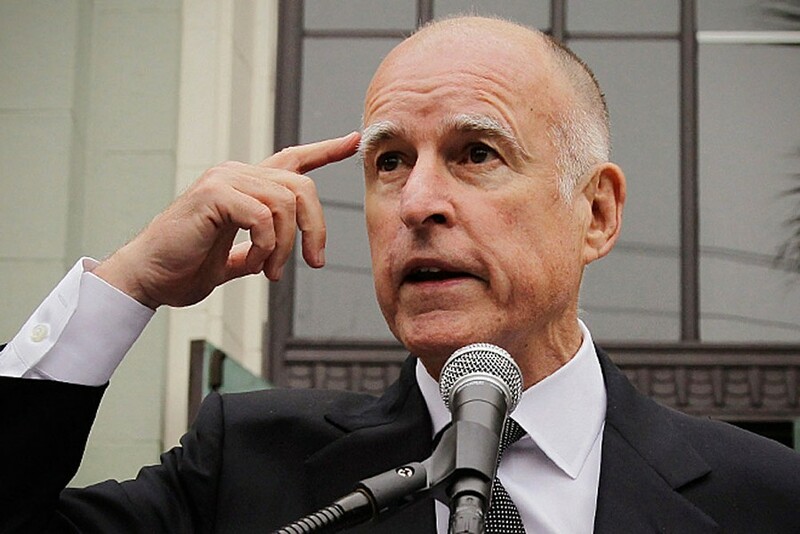 In AB 243’s signing message, Governor Brown directed the Natural Resources Agency to begin restoration projects of land that has been the most negatively impacted by marijuana cultivation. The 2nd Assembly District has suffered the toughest environmental damages from marijuana cultivation, which means most of the cleanup projects will happen along the North Coast. “The signing of these bills marks a turning point for the medical cannabis industry in the state of California. Developing comprehensive regulations for a 20 year old industry took a major effort on the part of legislators, the administration, and stakeholders. These new laws mean that business owners, patients, and law enforcement will finally have clarity. AB 243 was crafted with the North Coast in mind, and will help not only my district but the entire the state of California. I am proud it will serve as the foundation for the state’s cultivation language,” said Wood. Our work is still a long way from being done. On the last night of the Legislative Session, I introduced two bills, AB 1548 and AB 1549, to continue the work needed on medical cannabis. AB 1548 establishes a medical cannabis excise tax to fund environmental mitigation and provide resources for local law enforcement. And AB 1549, sponsored by Board of Equalization Member Fiona Ma, creates a state credit union specifically for the cannabis industry. Currently, banks and credit unions, which are federally regulated, do not take customers who earn their revenue in the cannabis industry. As a result, all cannabis industry businesses are forced to operate exclusively in cash. Assemblymember Rob Bonta (D-Oakland) is happy to announce today that Governor Brown signed the Medical Marijuana Regulation and Safety Act (the Act), which, for the first time in the history of California, establishes a comprehensive regulatory framework for the medical marijuana industry to ensure patient access, as well as to protect the environment, public safety, and public health. “Today ushers in a new era for California,” explained Assemblymember Bonta. “Patients will have assurances that their products are safe. Law enforcement will have a foundation for identifying drugged drivers and increased funding to protect the public. The environment will be protected from neglect, destruction, and water diversion. And the medical marijuana industry itself will be able to come out of the shadows and receive the same protections under the law as other state-licensed businesses, creating jobs and contributing to the economy. With the passage of Proposition 215 in 1996, California became the first state in the nation to allow for the medical use of marijuana, leading the charge ahead of 22 other states and the District of Columbia. However, prior to today, California lacked a regulatory framework for the industry. The three bills signed by Governor Brown today finally establish that framework.